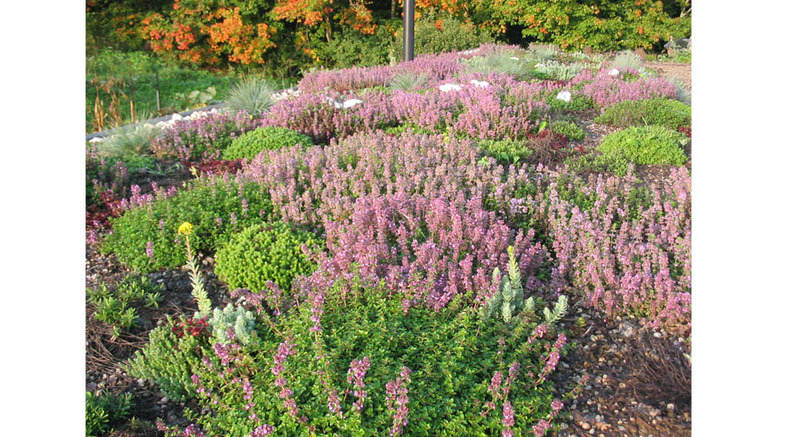 Most green roofs in Ontario are comprised of expensive and self-limiting proprietary systems developed for large-scale commercial roofs. Evolve has taken a different route. We’ve selected parts from various manufacturers of components for green roofs to compile our own rooftop garden system that is waterproof, sustainable, secure, rich with plant life and – perhaps most importantly – more affordable for smaller scale applications. We’ve then specially trained our own full-time crew members in the installation of our own custom living roof system. Evolve can take care of your entire green roof installation – or we can leave the fun stuff to you! From waterproofing membrane, root barrier, drainage layers, growing medium, to the rich drought-resistant plant life itself… Evolve does it all; however, if you like you can also participate in the fun! We are often asked to perform the technical “dirty work” of installing green roofs, while leaving the gardening work to our clients. As long as you’re up to the task (and not afraid of heights of course), we’re happy to hand the fun stuff off to you. Select from our range of seeding options. Native wildflowers and tall-grass prairie plants are popular choices, giving the appearance of a forest meadow while providing sustenance for birds and insects. In our own four-season greenhouse we can instead start plugs of sedums, a low-maintenance variety of plants that will soon blanket your entire roof in richly colored blooms changing through the season. Add to the adventure and try growing herbs or small vegetables. Rooftop terraces can be seamlessly integrated. By partnering with Evolve as your architectural designer, the possibilities for your living green roof are limited only by your imagination. This service is performed by Torus Ecosystems, one of our business divisions.